Will a proposed Ecology rule punish Spokane, despite the city using a cleaner way of disposing its trash compared to the rest of the state? 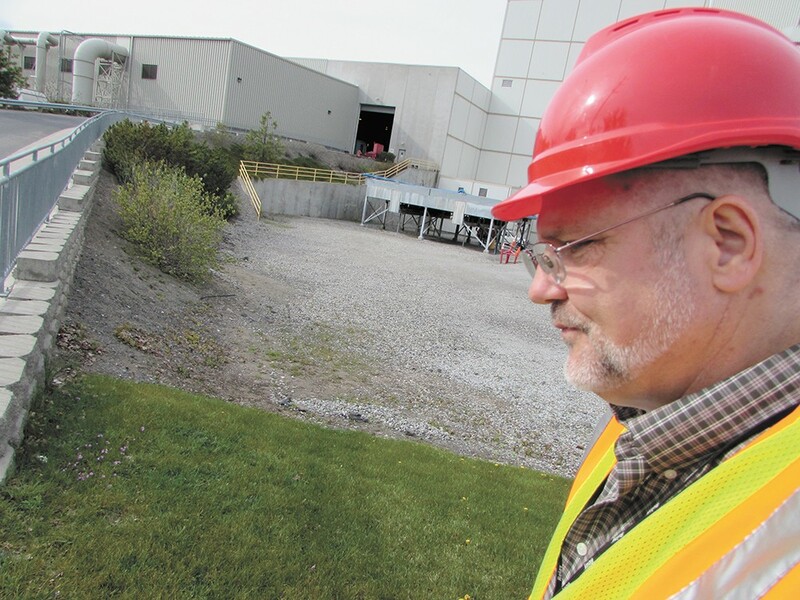 Chuck Conklin, Spokane's solid waste director, says that the Waste-To-Energy plant represents a much more environmentally friendly way of disposing of garbage than a landfill. Chuck Conklin, Spokane's director of solid waste disposal, pulls a lever and a small window into hell opens. At least that's what it seems like. Gaze into it — the heat blasting off the glass into your face — and you'll see the all-encompassing inferno. Hundreds of feet up, a crane operator is perched above a four-story mountain of garbage, piled with cardboard and big plastic bags and half a mattress. He thumbs the joystick on his chair, and the claw whirs down, plunging into the mess, and comes up with a truck-bed-sized load of garbage in its clutches. The claw loosens its grip, and the waste plunges down toward the incinerator, to be converted to electricity and ash. Last year, Spokane's Waste-to-Energy plant took in around 138,000 metric tons of garbage that would have otherwise been dumped in a landfill, all while generating enough electricity to power 13,000 homes. But there's a downside: Burn something, create carbon dioxide. Create carbon dioxide, contribute to climate change. And climate change is exactly what the Washington State Department of Ecology is trying to prevent. Now a proposed clean air rule, currently under consideration by Ecology, may punish Spokane for disposing of its garbage in a way the city says is more environmentally friendly than the landfills used in the rest of the state. Solid Waste Disposal Director Chuck Conklin inside the facility's command center. It's been nearly 25 years since Spokane dumped its dumps, switching to its Waste-to-Energy incinerator. Over the years, the plan has attracted its fair share of scrutiny from environmental groups. "Waste-to-energy sometimes gets a knock; while you're reducing [garbage] that goes to a landfill, there's a more immediate air quality impact," says Scott Simmons, public works division director for the city of Spokane. "It incinerates and immediately introduces [carbon dioxide]." Long term? Landfills, which are environmentally harmful for more reasons than just taking up space, are worse, he says. Landfills leak solvents and other harmful chemicals, threatening aquifers and drinking water. And they leak methane — a greenhouse gas with 25 times the impact on climate change as carbon dioxide. Modern landfills attempt to seal the garbage and burn off the methane, but invariably a bit slips out. Now add the carbon footprint of trucking garbage hundreds of miles away to a landfill. The U.S. Environmental Protection Agency has an online "Waste Reduction Model" tool that can allow wonks to calculate the amount of greenhouse gases created in a specific scenario, considering facility type, location, and even the general distribution of garbage mix. Plastic burns differently, for example, than a banana. Wayne Krafft, who focuses on waste resources for the Eastern Washington Division of the Department of Ecology, says that even compared with a well-designed landfill like the one in Roosevelt, Washington, the amount of greenhouse gases emitted at landfills would be significantly higher than at the Spokane facility. "It looks to be that the [Spokane] Waste-to-Energy plant is between 15 and 20 percent lower impact, greenhouse-gas-wise, than the Roosevelt landfill," says Krafft. While there are other harmful gases — like dioxins and furans — released at the Spokane plant that have environmental groups concerned, currently Spokane's levels fall far below the federal limit. Landfills also can release dangerous gases, especially from accidental fires. "The toxic air emissions are probably less than at the Waste-to-Energy plant than at a landfill," says Krafft. But it still might cost Spokane. This January, Ecology put out their proposed Clean Air Rule: facilities, including Spokane's Waste-to-Energy plant, that annually pump out more than 100,000 metric tons of carbon dioxide (or their equivalents, like methane) would need to meet a 5 percent reduction every three years. If they can't, facilities would have to find ways to "offset" their greenhouse gases through other means. After hearing a deluge of public comment, however, Ecology pulled back the rule for reconsideration. "We're listening and being responsive to the ideas on how to best move the rule forward," Sarah Rees, Ecology's special assistant on climate change policy, said in February. Simmons says he likes the idea behind the rule. Reducing climate-changing gas is a good goal, he says. But he's concerned about the impact on Spokane ratepayers, who would be punished despite having a more environmentally sound disposal method. The Roosevelt landfill also would be hit by the rule, due to its own greenhouse gas emissions. But here's the thing: If Spokane were to truck its garbage to the Roosevelt landfill, dealing with the rule would become Roosevelt's problem, not Spokane's. Theoretically, Spokane could reduce its carbon dioxide load by trucking its garbage out of the city — or even the state. But Simmons says Spokane doesn't want to literally dump its problem off on someone else. "We're asking for similar treatment as other entities," Simmons says. "There's a level of discomfort with the Waste-to-Energy plant because we're different." Biomass plants — burning trees, timber and plant matter — are already exempted under state clean air rules. "We think this is a renewable resource," Simmons says. Waste-to-energy, however, isn't considered renewable energy in Washington state. Krafft says that goes back to a clean energy initiative passed by state voters a decade ago. He says the logic makes some sense. The trash that generates the most power by burning the hottest — paper, wood and plastic — is also the same stuff that should be recycled. "There's a bit of a disincentive for facilities to recycle if they're generating electricity," Krafft says. But Simmons says Spokane is doing well there too: "We happen to have one of the leading recycling programs in the state." Spokane's switch to single-stream recycling in 2012 was a big step. In its first year, the city's recycling rate shot up 80 percent. Next Wednesday, Ecology will hold a webcasted workshop on the Clean Air Rule. In the coming months, the city of Spokane will continue to lobby the agency, asking it to either modify its proposed rule or come up with some feasible offsets that Spokane can meet without too much difficulty. 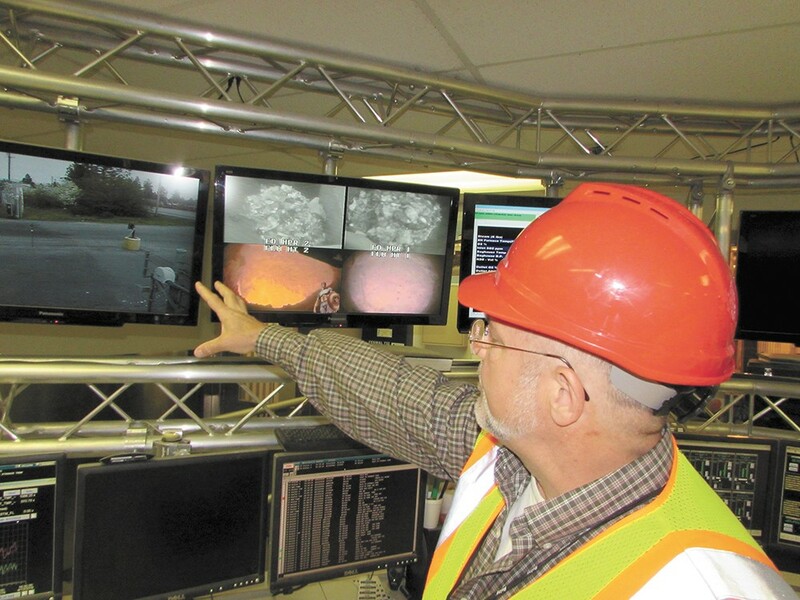 After all, Conklin says, every metric ton of garbage brought to the Spokane Waste-to-Energy plant instead of a landfill prevents the equivalent of a metric ton of carbon dioxide from being released into the atmosphere. After nearly 25 years, that adds up.